We’re proud to announce Woodland Park Zoo’s flagship conservation program, the Tree Kangaroo Conservation Program (TKCP), was prized with top honors for the International Conservation Award at the Association of Zoos & Aquariums (AZA) national conference held this week in Orlando, Florida! AZA names conservation as its highest priority, and annually recognizes exceptional efforts by AZA-accredited zoos and aquariums, related or international facilities, and conservation partners toward habitat preservation, species restoration, and support of biodiversity in the wild through its International Conservation Award. 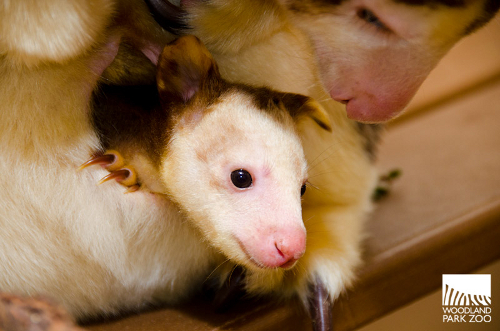 Established in 1996, TKCP determined that the Matschie’s tree kangaroo and its unique habitat faced increasing threats from deforestation and over-hunting. It was clear habitat protection and sustainable resource management practices were needed to help this little-known species survive in its natural habitat. 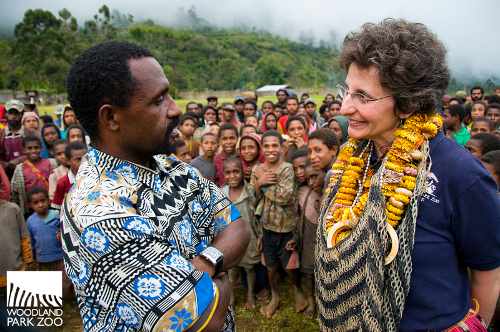 In Papua New Guinea (PNG), where local people own and control over 95% of the land, the TKCP team joined local residents, as well as government officials, to help implement a long-term habitat protection plan, raising conservation awareness and understanding, and fostering the commitment of local communities that depend on forest products and services. TKCP takes a holistic approach to conservation, encompassing livelihoods, education, health, and land-use planning in partnership with local landowners. 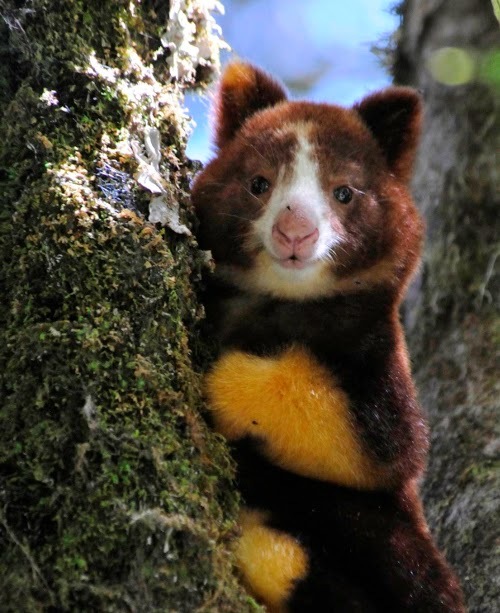 The endangered tree kangaroos remain the program’s flagship species—an animal both culturally and biologically significant to PNG—though TKCP’s mission extends to habitat protection for a wide range of threatened species that call PNG home. Five years ago, TKCP worked with local landowners to establish the Yopno-Uruwa-Som Conservation Area (YUS CA), the first of its kind in the country. 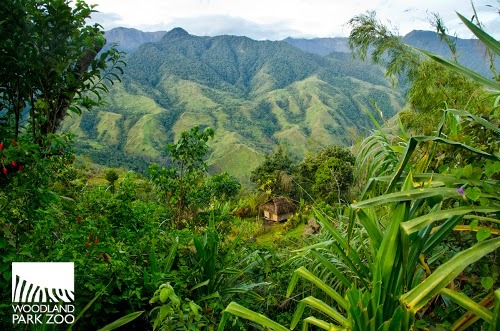 The 180,000-acre area, voluntarily pledged by local landowners to help protect the wildlife native to PNG’s Huon Peninsula, has become a model of locally-owned protected forests that not only conserves wildlife while also focusing on the importance of community health and livelihood. TKCP has made great strides in empowering local residents to manage the community’s environmental and natural resources through their innovative initiatives and community approach, and established TKCP-PNG—a partner non-governmental organization—to manage the YUS Conservation Area. TKCP-PNG was also recently honored by the United Nations for its advancements in sustainable wildlife conservation and local livelihood solutions with the highly-esteemed, annual Equator Prize. TKCP and Woodland Park Zoo established a partnership with Caffé Vita, a Seattle-based coffee roaster, to bring alternative revenue to the YUS landowners and their communities. Through a direct trade agreement, YUS farmers have exported nearly 8 tons of coffee over three years to generate profits that benefit 11 local villages. The funds are reinvested in the community through education, health and development projects. As a result, farmers are providing their families and neighbors with necessary schooling, health education and a reliable income. 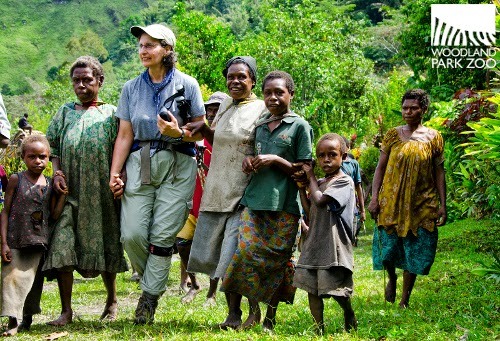 We’re honored to be recognized for our continued contributions to wildlife conservation, tree kangaroo research, and the communities of Papua New Guinea. You support Woodland Park Zoo’s conservation programs every time you visit the zoo. Visit the ‘roos at the heart of TKCP on your next zoo visit by making a trip to the Day Exhibit, or check out zoo.org/tkcp for more information.